Generally, tomatoes are touted as vegetables. However, these juicy red balls are technically fruits. Definitely, it makes you wonder about all the other vegetables nestled in the fridge. Out of such bright-colored vegetables, we have carrots. So, is carrot a fruit? You will know a detailed answer to this curious question in a while. To clear airs, carrots are really vegetables and not fruits. Hence, you should not think of dicing or tossing them up into a fruit salad. Is Carrot a Fruit or Vegetable? How To Choose A Good Carrot? How To Include Carrots In Your Diet? How To Prepare Carrots For A Meal? To know the real difference between fruits and vegetables, you need to take a look down at the plant. It is really simple to know what makes a tomato a fruit and a carrot a vegetable. Here, you need to pay attention to the following fact. Any produce that develops from a flower is called a fruit while from other parts of the plant are called a vegetable. The other parts of the plant include roots, tubers, leaves, stems, and bulbs. In botanical terms, a fruit comprises a seed-bearing structure, which develops from the flowering plant’s ovary. Due to this fact, seedy outgrowths like squash, apple, and tomatoes are fruits. On the other hand, roots like turnips, beets, and potatoes, leaves like lettuce, kale, and spinach, and stems like broccoli and celery are all veggies. In culinary culture, the outlook is a lot different. There are several fruits that are savory in taste than sweet. Such fruits are considered vegetables by cooks or chefs. Under this category, we have eggplants, tomatoes, and peppers. The debate, fruit vs. vegetable is quite an old one. At times, it reaches a fever pitch where the law has to intervene. In 1893, the United States Supreme Court declared that imported tomatoes should be taxed as vegetables rather than fruits that were less taxed. The court acknowledged the fact that tomatoes are botanical fruits, but should be called with the general definitions of vegetables and fruits. These definitions are the ones pronounced in the kitchen. However, you do not have to worry over all this as a carrot is technically a vegetable and nothing else. There is a debate going on from a very long time about several fruits and vegetables. However, a carrot is entirely out of this debate as carrots are considered vegetables as well technically remain the same. Anatomically, a carrot is a modified taproot of a plant. So, there is no confusion stands whether a carrot is a vegetable or a fruit. In botany, carrots are vegetables while in general, carrots share the same status. As per statistics from the U.S. Department of Agriculture, one cup of carrots comprising of 128 grams of carrot constitute the following elements. One cup of chopped carrots offers 100 percent of the recommended daily allowance of Vitamin A to an adult female and male. Additionally, carrots comprise several B vitamins. Carrots are rich in minerals, fiber, and vitamins. It is believed that antioxidant-rich vegetables and fruits like carrots help to reduce risks of cardiovascular diseases and cancer. Here are some of the health benefits of carrots! Most of the dietary foods are known to show anti-cancer effect. It occurs due to the antioxidant power, which reduces free radicals in the whole body. Studies have shown that diets full of carotenoids lower the risk of prostate cancer, lung cancer, stomach cancer, colon cancer, and breast cancer. Carrots comprise of beta-carotene. In 2008, a study showed that higher intakes of carotenoids could reduce the risk of lung cancer by 21 percent after making the changes to smoking patterns. However, it may increase chances of lung cancer among smokers. These orange root vegetables comprise Vitamin C, which is an antioxidant. It helps to prevent several diseases and enhance the immune system. Additionally, Vitamin C reduces the sternness of cold as well as the time it usually lasts. Carrots help to see you better in darkness. They contain Vitamin A, which fights the deficiency of Vitamin A that leads to xerophthalmia. It is an eye disease that damages normal vision. It may cause night blindness, where one finds it difficult to see in darkness or low light. If you eat carrots, you contribute to the intake of Vitamin A and hence, prevent the deficiency of it. However, you would not be able to see any changes if you do not lack Vitamin A. So, eat carrots and know if it’s working for you effectively! These orange sticks add a radiant glow to your skin. 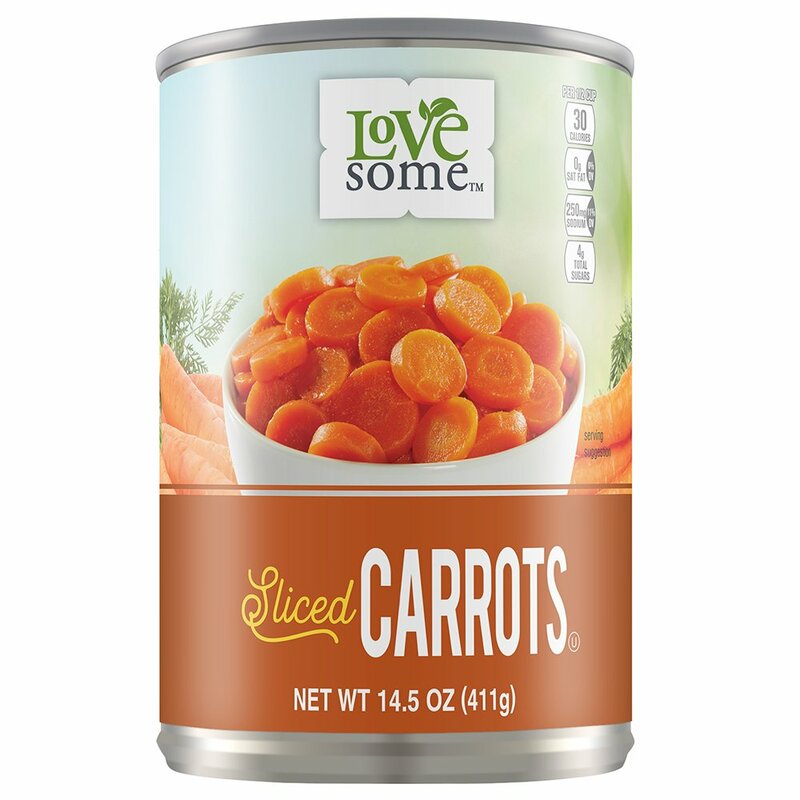 Along with the beta-carotene, carrots are loaded with lycopene and lutein. These high silicon contents promote healthy nails and skin. Raw carrots work wonders for your skin! A study conducted in 2011 showed that the extract of carrot juice kills leukemia cells. It even further restrains the progression. A weight watcher who is on a diet should incorporate fiber-rich foods. Such foods include carrots that have both insoluble and soluble fibers. As you know, fibers take a longer time to digest. Thus, carrots promote a sense of fullness. These veggies even prevent you from binge on fattening products. This vegetable lowers down the bad cholesterol levels. Carrots are also grouped with potassium. The element relaxed the blood arteries and vessels, which improves the circulation of blood flow. It even brings down the elevated blood pressure. Often, diseases like heart attacks, strokes, atherosclerosis, etc. are associated with high BP. So, add carrots to your diet to choose a healthier and stronger heart. Carrots help to regulate blood sugar levels due to the presence of phytochemicals and antioxidants. In these orange root vegetables, a quarter of the carbohydrate is sugar. However, the carbohydrate quantity is relatively low in carrots. The glycemic index in carrots is just 39, which indicates that the impact of carrots is low on blood sugar levels, as per studies from Harvard Health. There are lots of varieties of carrots. At a grocery store, you usually find orange carrot varieties on the display. However, there are carrots available in yellow, white, red, purple, and black colors. Carrots are grown all year round and hence, you do not find it difficult to grab carrots at a reasonable price. When it comes to choosing a good carrot, always go for whole carrots with leafy and bright greens still attached to them. These carrots taste sweeter and stay fresher that way. Moreover, the texture of a carrot needs to be firm and the skin has to be smooth. Just like other vegetables, avoid carrots that appear discolored, wilted, or cracked. The bright orange color of carrots derives from the antioxidant beta-carotene. Our intestine absorbs this antioxidant and converts it to Vitamin A during the process of digestion. In the same way, carrots with colors like yellow, red, purple, etc. tend to have them due to various antioxidants. For instance, red carrots contain lycopene and purple carrots have anthocyanin. Carrots have two seasons in a year, where local carrots can be found in the fall and spring. Nowadays, carrots are available year-round in supermarkets. 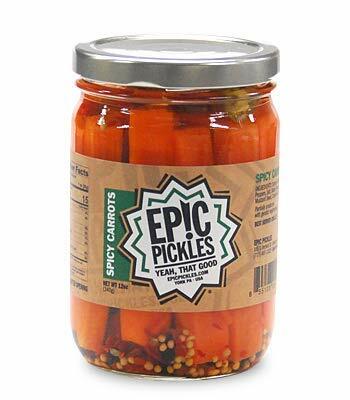 Here, you get options for carrots like frozen, pickled, canned, or fresh. For better storage, you can store your carrots in the fridge in plastic bags. This can help fresh carrots last longer, it may store for 1 month. If carrots still have greens on their top, you need to remove them before storing them. Otherwise, the greens will draw out all the nutrients and moisture from the roots. Before eating these carrots, do not forget to wash and peel them. If you like to have all the nutrition, it is best to go with steamed and raw carrots. In these two forms, there lies the maximum nutritional value. As stated above, this versatile vegetable can be cooked in lots of different ways. However, try to avoid boiling these vegetables as it results in the loss of their nutrients. To bring out their crisp yet tender texture, steam these veggies in a steam basket or a microwave. This recipe includes roasting the carrots. It turns out a perfect blend of savory and sweet flavors. Here, you need to roast carrots with cinnamon, cumin, and olive oil. After then, toss these roasted veggies with parsley and raisins. This dish is prepared in a traditional way but with a twist. In this recipe, you will have astonishing flavor notes due to the presence of two uncommon ingredients for risotto. The first one is mascarpone cream cheese and another one is carrots. Here, you have to prepare carrots over a pan with some butter and then, some caramelized sugar. It sounds odd having poached scallops with carrots and leeks. In reality, these two ingredients will bring up amazing flavors in your dish. Here, carrots will add a gentle crunch that will perfectly balance out the meaty and tender scallops. To prepare, just cook leeks and carrots in a pan with some oil. After a while, add dry white wine and water. Bring carrots to a boil and place cooked scallops on the top of it in a small bowl. So, enjoy scallops with these healthy veggies and broth like never before. To prepare these pancakes, you need low-fat buttermilk, all-purpose flour, chopped walnuts, baking powder, nutmeg, cloves, ginger, brown sugar, cinnamon, lightly beaten eggs, vanilla extract, carrots, and salt to taste. Mix all the ingredients well and pour on a nonstick pan over a heating pan after spraying some cooking oil. Enjoy your carrot pancakes with honey and butter. Carrots contain Vitamin A, which can be toxic to human beings on overconsumption. It tends to cause a light orange hint in skin color, although not detrimental to health. A diet on its own cannot result in Vitamin A’s overdose. However, it can happen due to any supplement use. People who take medications enriched in Vitamin A like acitretin and isotretinoin for psoriasis and acne, respectively, should avoid consuming carrots in large amounts. It may cause hypervitaminosis A, which is an overdose of Vitamin A. Thus, it is advised to check with a doctor for any dietary change if starting on a new medication. In this way, you can prevent adverse effects of any element on your health. So, a carrot is definitely not a fruit and you know, why this is so! Carrots emerge from the root part of a plant, which makes them truly a vegetable. Unlike fruits, carrots do not bear any seeds, which will later produce new plants. Therefore, all these indications exhibit the fact that carrots are technically vegetables. However, there are certain produces like cucumber, tomatoes, eggplants, etc, where people find it difficult to tell whether they are fruits or vegetables. But, there is no such confusion with carrots. These orange root vegetables stand vegetables in both botanical and culinary terms. If you find this article useful, share it with your friends who would love to know whether a carrot is a fruit or a vegetable. After trying out the above-mentioned recipes, do not forget to share your experience with use. We would love to hear!